What did Following Jesus and Fearlessly Making Him Known look like in 2017? We have over 2,600 adults, students, and children worshiping in hamilton, Holland, and Saugatuck each week. Almost 60% of our Fearless Followers are active in Rooted, groups, or ministry teams as they find community and actively do life together. In the last couple of months, we have seen an increase in our gatherings of over 400 people; many of whom are new to our churches. Every month over 1,500 Fearless Followers are active in being the hands and feet of Jesus in our cities, region, and world. 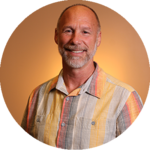 As a family of disciples on mission, each week about 500 Fearless Followers are intentionally sharing the love and truth of Jesus with another person. RP-Year End Video-FINAL from Ridge Point on Vimeo. The vision God gave our elders three years ago was that by 2020 we would have 5,000 Fearless Followers gathering weekly across 10 churches we have planted. To date, we have planted seven churches with nearly 4,000 Fearless Followers meeting each week! Often we are asked what it means to be a “Fearless Follower” of Jesus. What a great question. To be Fearless is to share Jesus with a person or culture that does not yet embrace Him. Sometimes it is boldly swimming against the tide of culture and standing for the marginalized or oppressed; sometimes it is humbling ourselves in open-handed service to open a door of friendship to those indifferent or hostile toward the church; sometimes it is standing for unpopular Biblical convictions that honor the Lord. More and more it may require experiencing various forms of persecution as we attempt to live the life, share the truth, and pour out the love that Jesus modeled during his lifetime. Following Jesus means living intimately with the risen Jesus as our companion, confidant and champion. It is a personal commitment to accept our complete dependence on the sacrificial death of our Savior, live in His grace that is our life’s blood, and to obey Him through the guidance of the Holy Spirit with humility and courage. Of course, the mystery of the gospel spreads in many ways, but God calls us to support his work through regular and, sometimes, sacrificial giving. Pray, then give how God’s Spirit prompts and we will all rejoice as we do our part in partnering with God to create more and more Fearless Followers of Jesus. 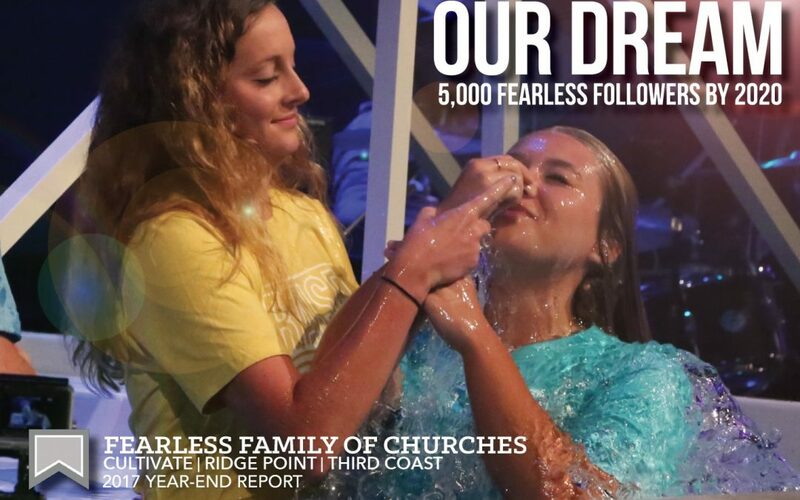 Learn more about Giving to the Fearless Family of Churches.